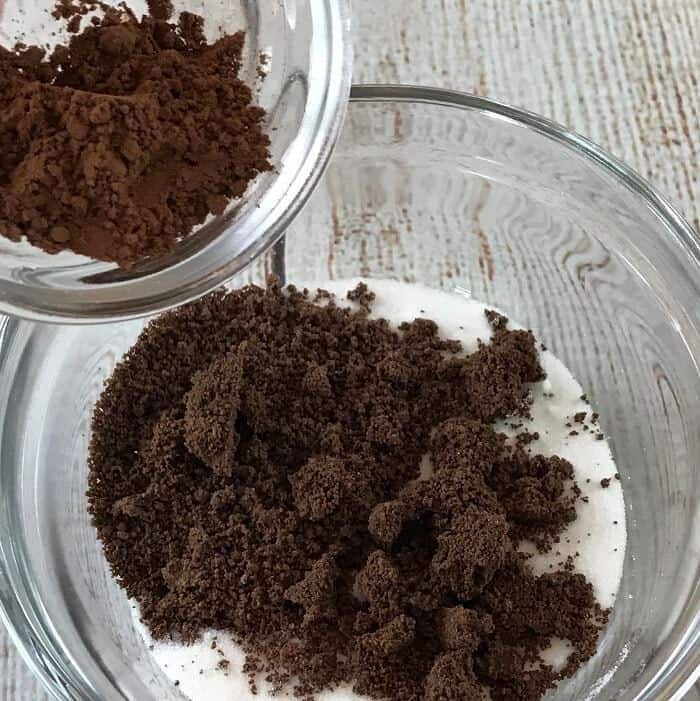 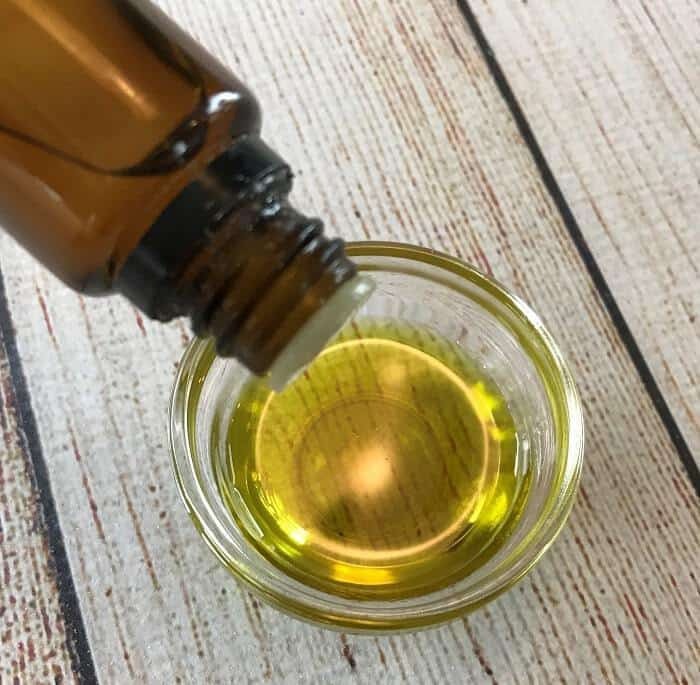 Now that you know that you can make your very own lip scrub with chocolate and essential oil, you chances are you’ll never ever have chapped lips again. 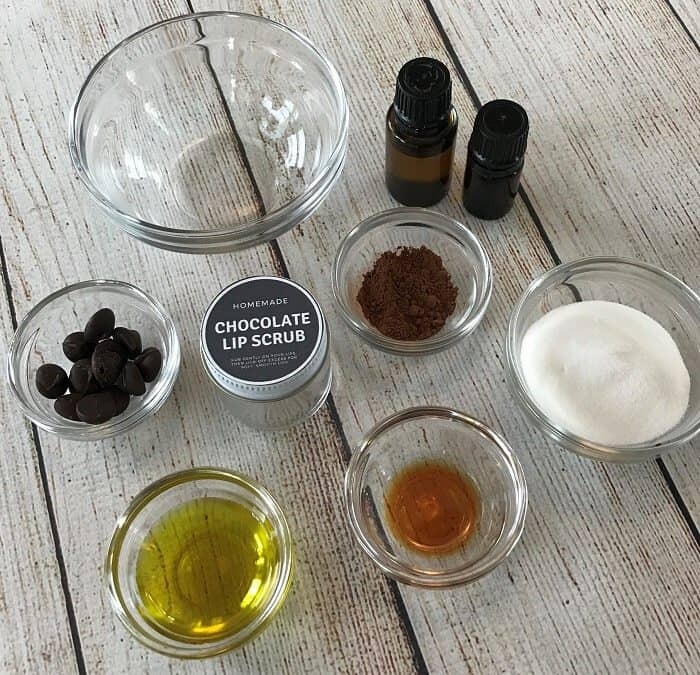 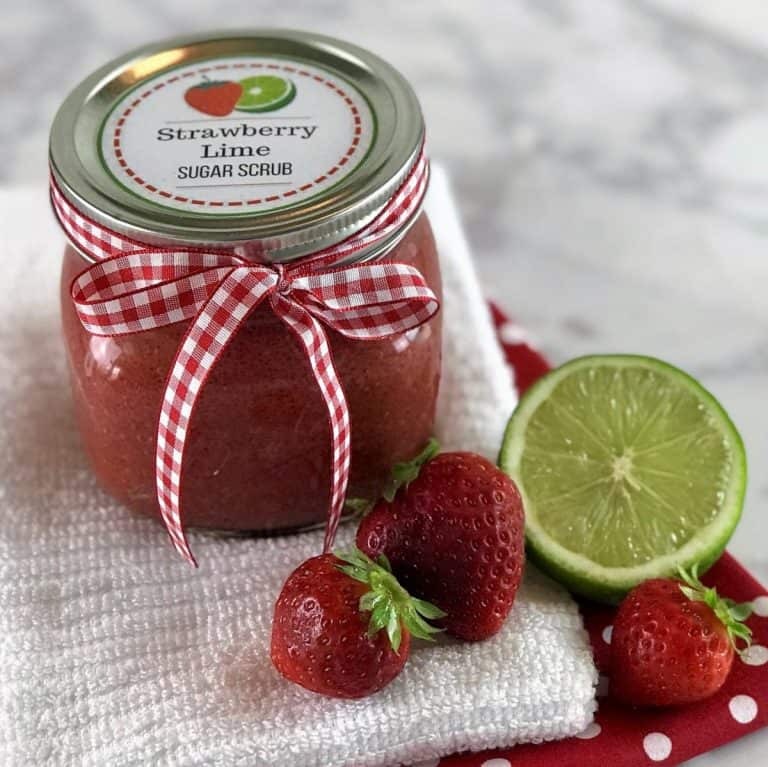 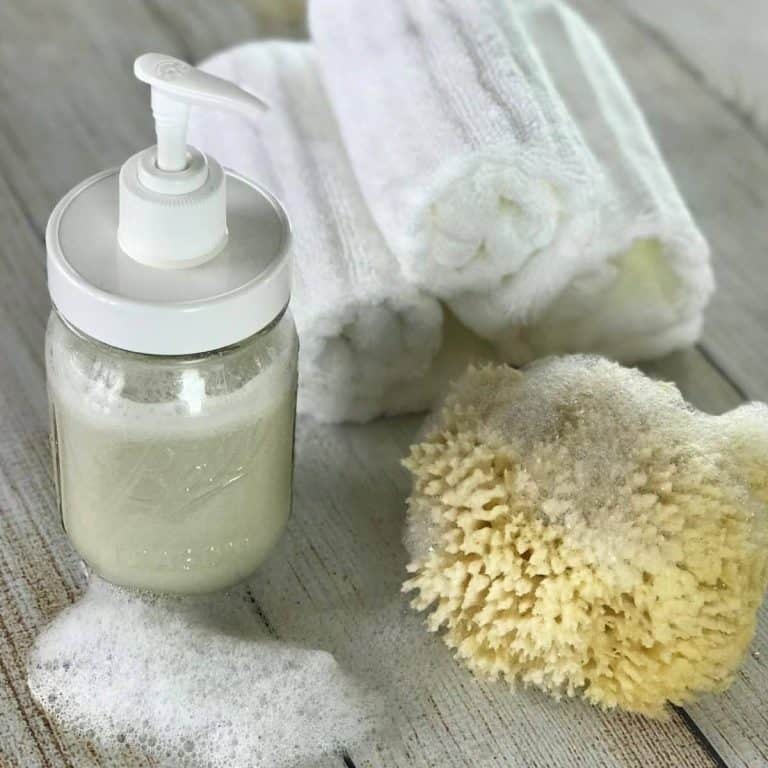 Because not only is this homemade lip scrub both hydrating and gently exfoliating, leaving you with soft, smooth, healthy lips, it’s also a divine combination of chocolate and orange. 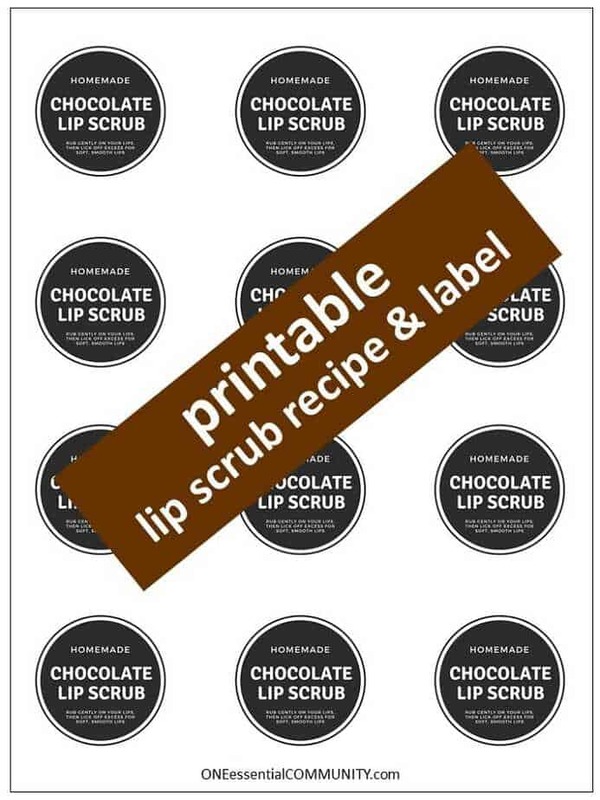 Licking off the chocolatey goodness when you’re done. 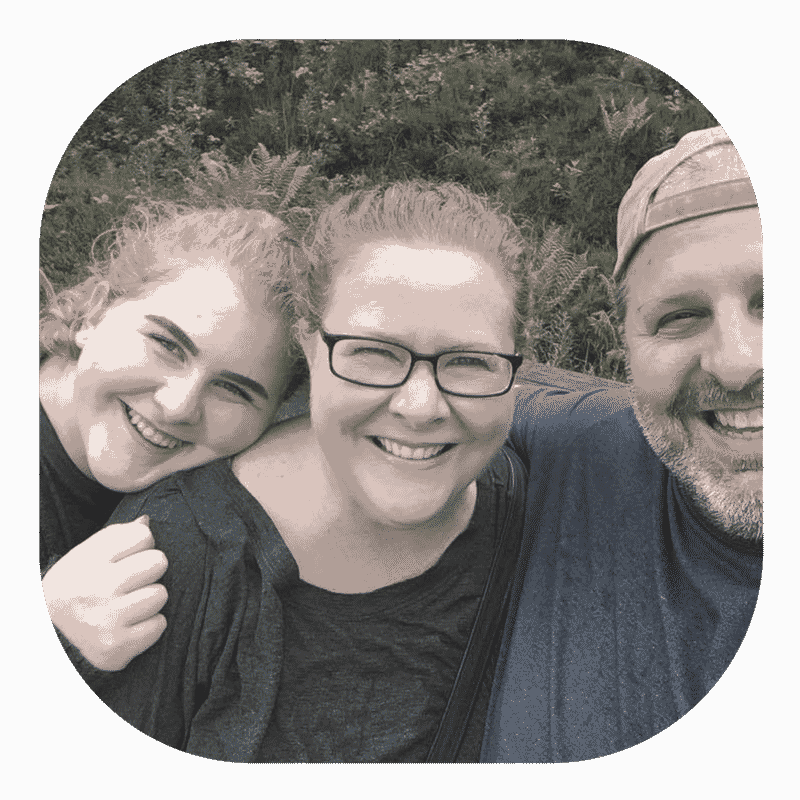 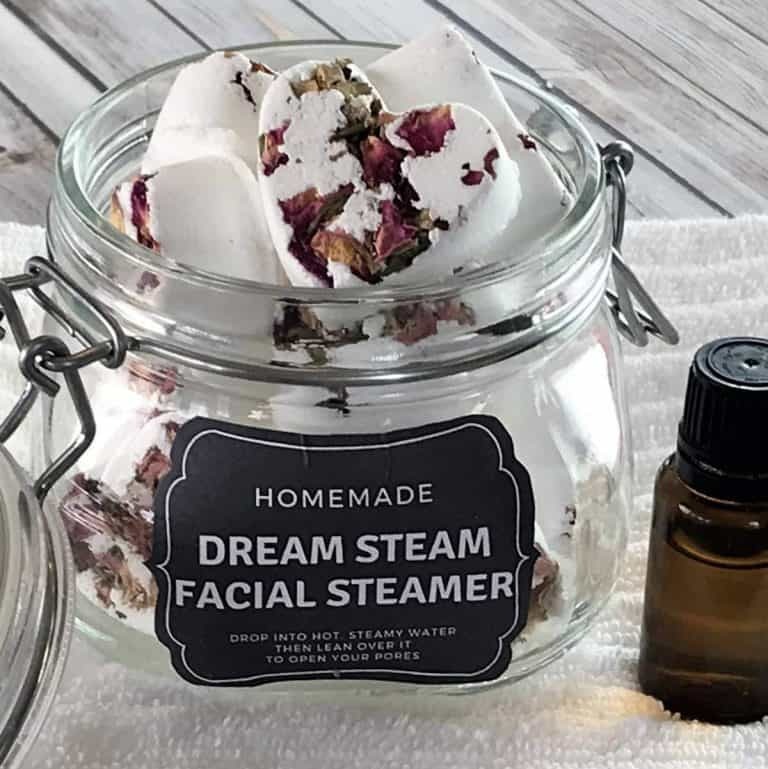 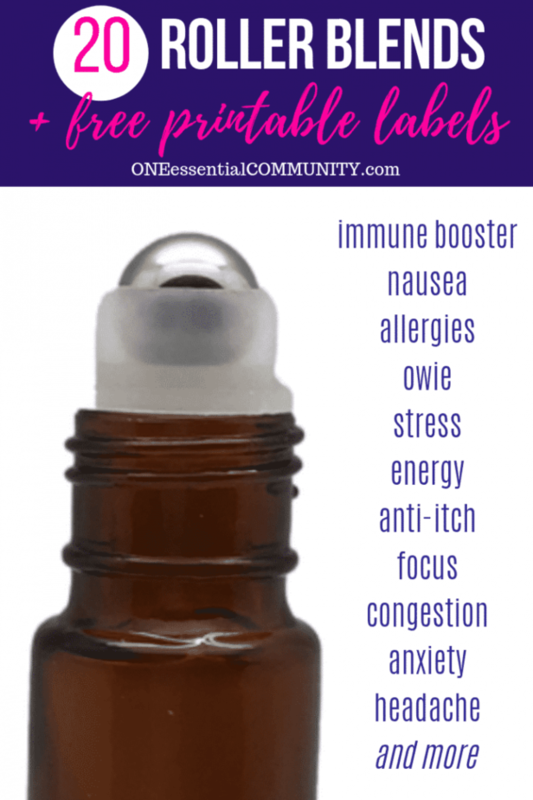 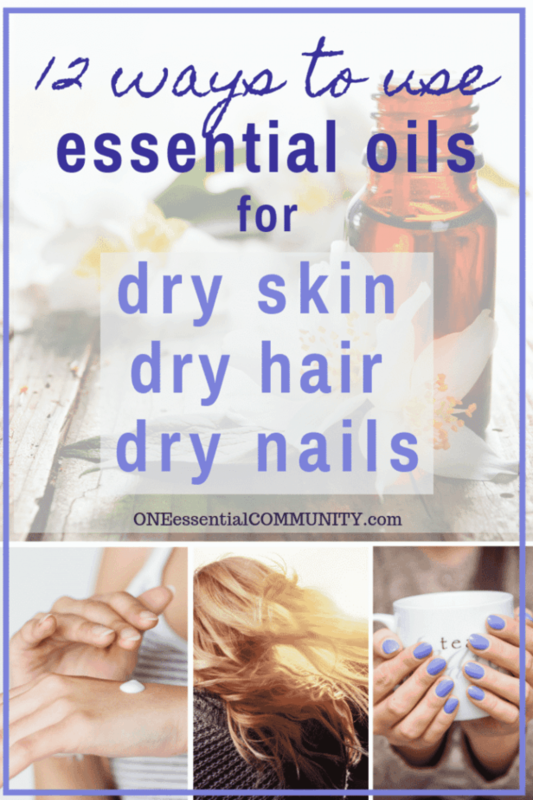 #6 it has essential oils in it — I don’t know about you, but I love making things with essential oils! 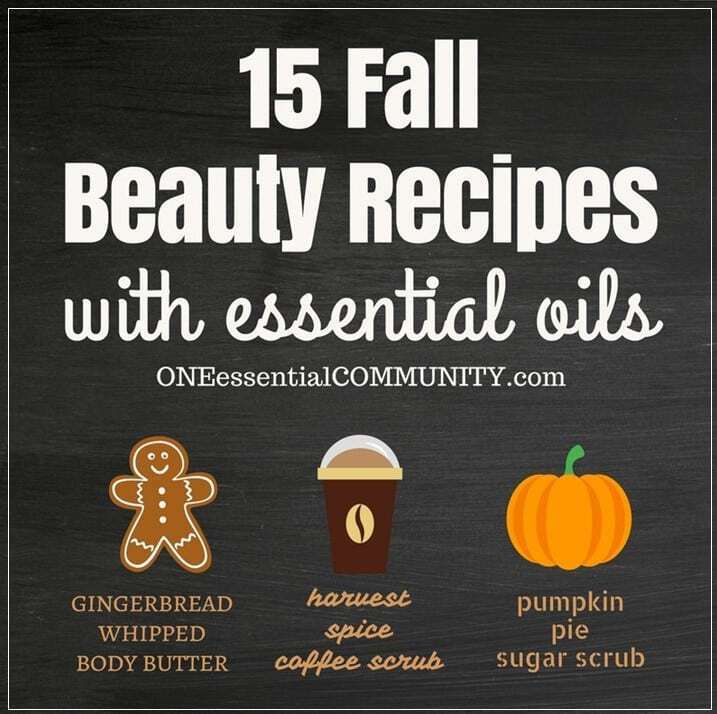 #10 did I mention it tastes great?! 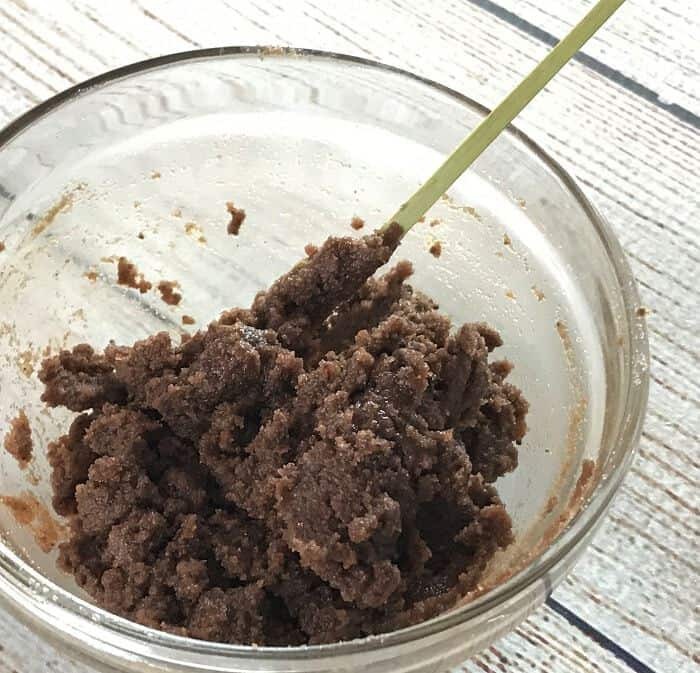 What’s in this homemade chocolate lip scrub? 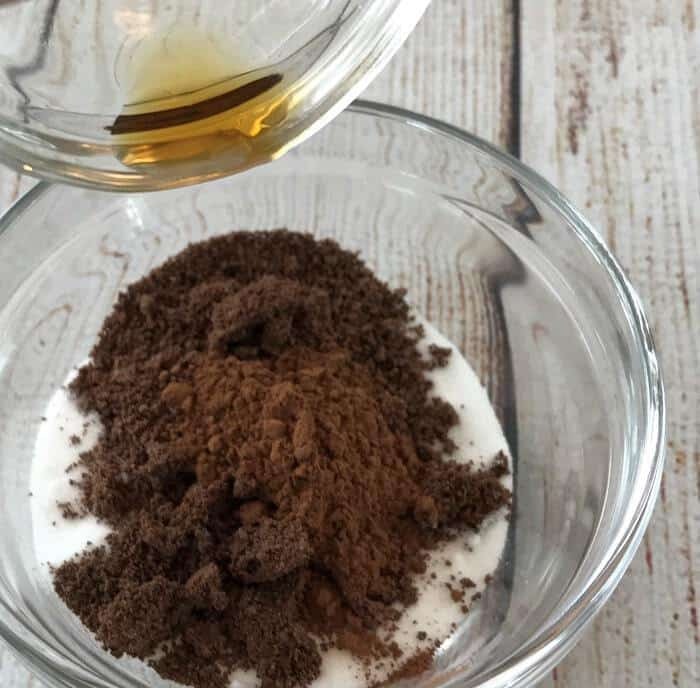 caster super fine sugar – with smaller granules than traditional baking sugar, this super fine sugar is perfect for gently exfoliating lips. 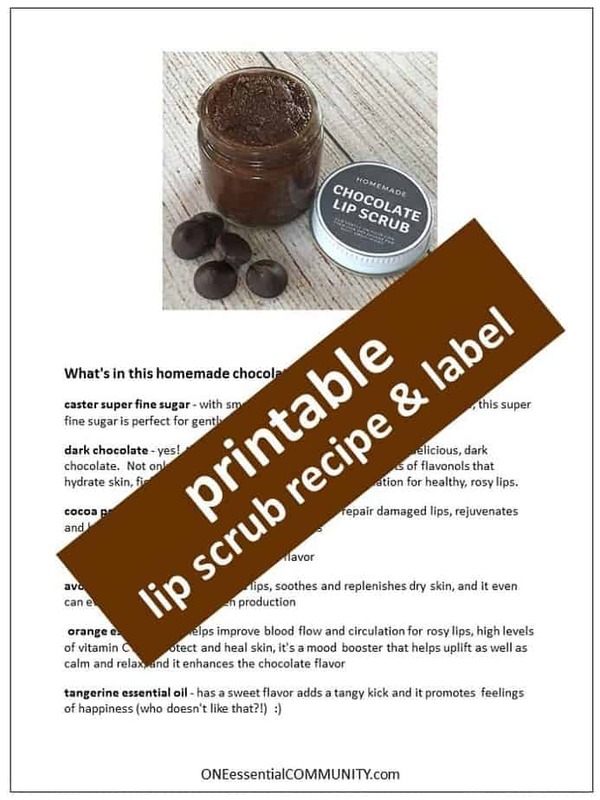 dark chocolate – yes! 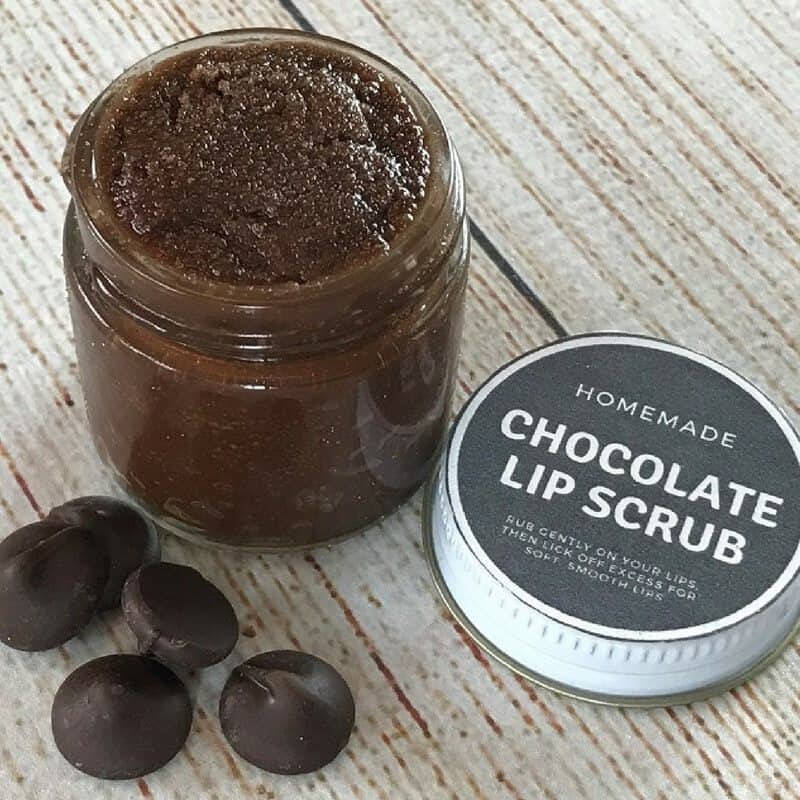 this chocolate lip scrub is made with real, delicious, dark chocolate. 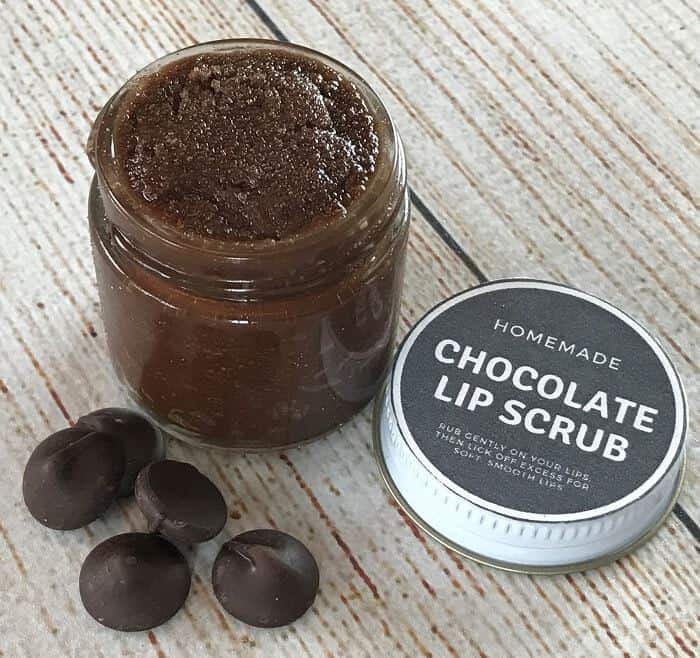 Not only does it taste great, dark chocolate has lots of flavonols that hydrate skin, fight free radicals, and increases blood circulation for healthy, rosy lips. 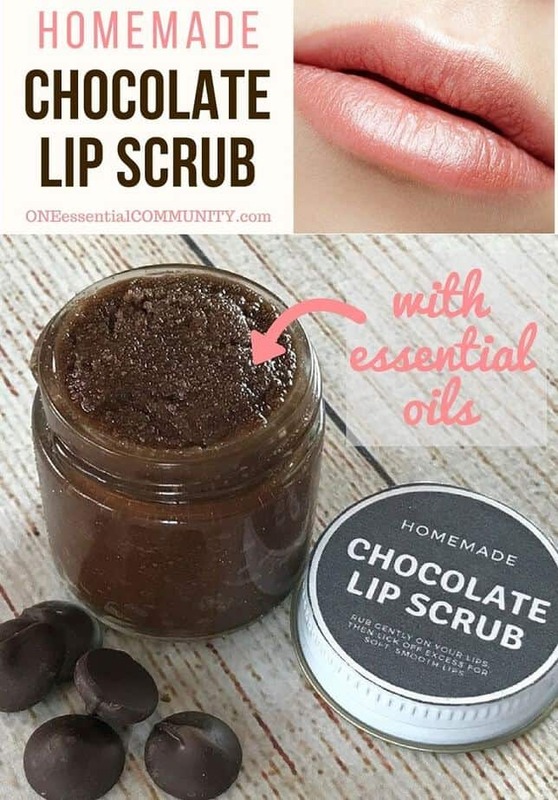 How to make homemade chocolate lip scrub with essential oil? 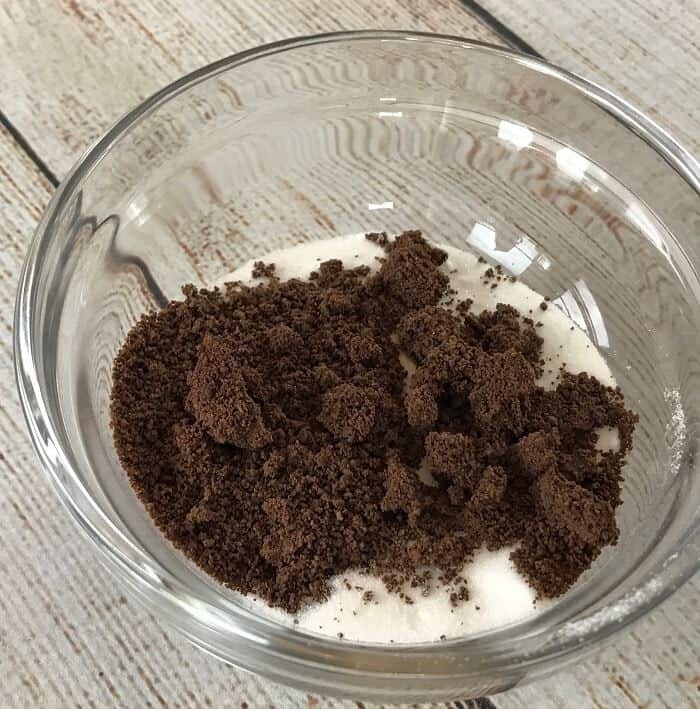 tip #1 — put chocolate chips into the freezer for a few minutes before grinding them. 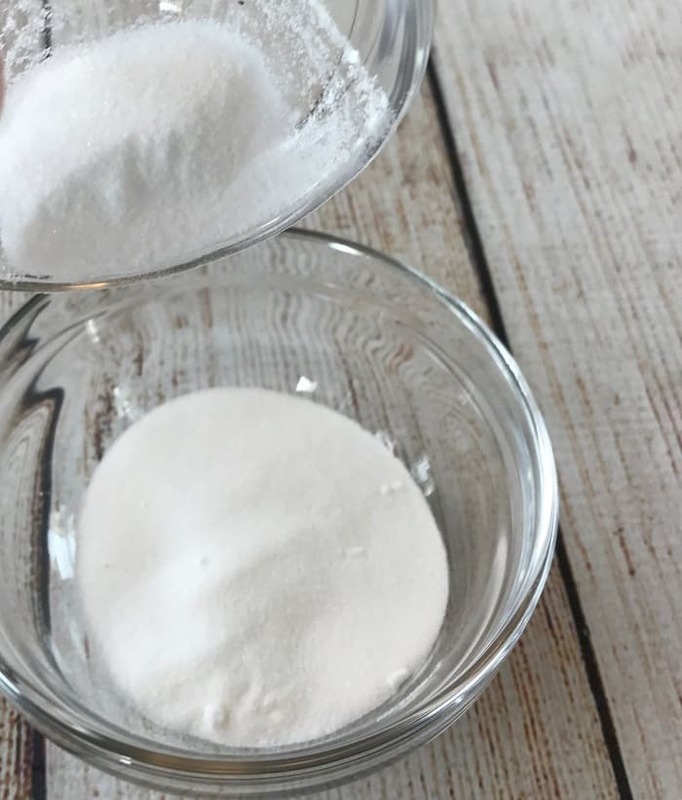 This will keep them cold, and prevent them from melting during the grinding. 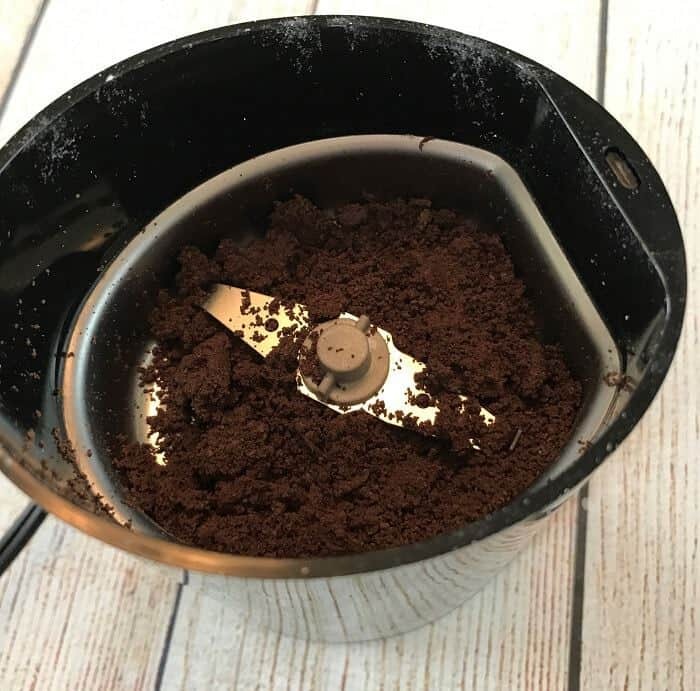 tip #2 — pulse the grinder on and off to grind the chips. 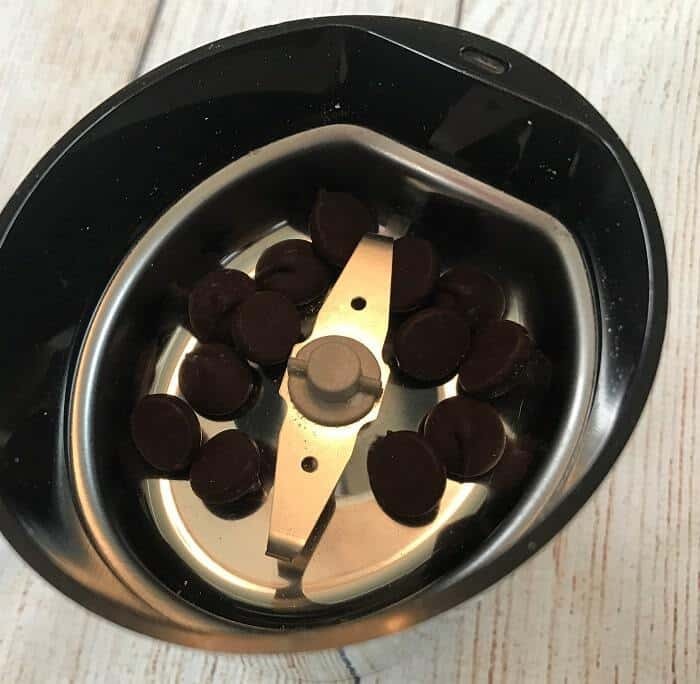 Pulsing will grind the chips faster and help them to get to soft. 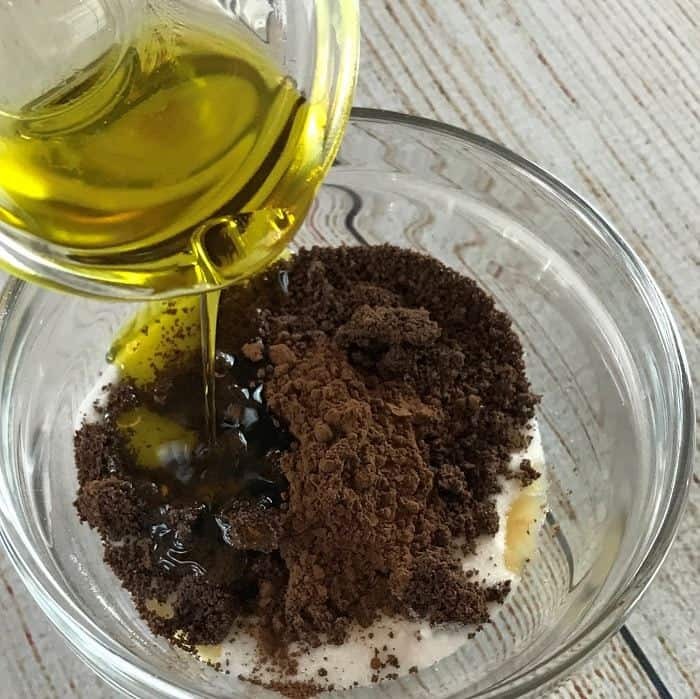 then lick off excess — YUM!